Can I Still Get a Hotmail Email Address? - Ask Leo! Surprisingly, you can still create a hotmail.com email address. I'll show you how. I don’t want an Outlook email address, I want Hotmail. Can I still get one? I was wrong. At least as of this writing, you can still do it. I’ll show you how, and discuss a few other popular Microsoft-related email domains. Visit outlook.com in your browser. You’ll be asked to sign in, but don’t. Or, you’ll be presented with an Outlook.com home page. 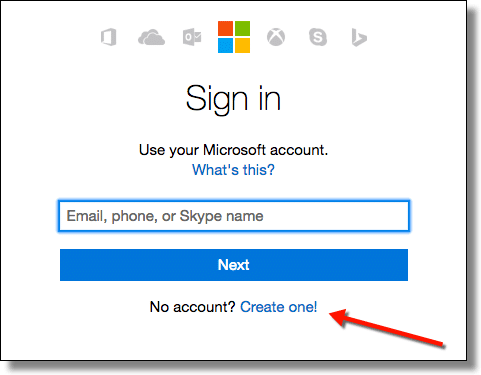 In either case, click on the Create Account, Sign Up, or Create one! link. You’ll be taken to the “Create an account” page. Enter the email name you want into the “User name” field, and then click on the down-arrow next to “@outlook.com” to the right. You’ll be presented with a drop-down list of domains on which you can create your new account. Lo and behold, “hotmail.com” is on the list. In fact, at this writing, it’s the only alternative to “outlook.com”. Fill out the rest of the form and click Create account, at the bottom of the page, to create your account. Keep trying different email addresses until you find one you like that’s available. Try outlook.com if you’re trying hotmail.com, or vice versa. Those really are your only options. So far, I’ve only discussed outlook.com and hotmail.com, because those seem to be the only two domains currently available from Microsoft. It appears that you cannot create new email addresses on the following Microsoft-owned domains, as you could in the past. As is typical, there’s no answer to why this might be, but the result is the same: you can get only outlook.com or hotmail.com email addresses, and only if the specific email address you want isn’t already in use. 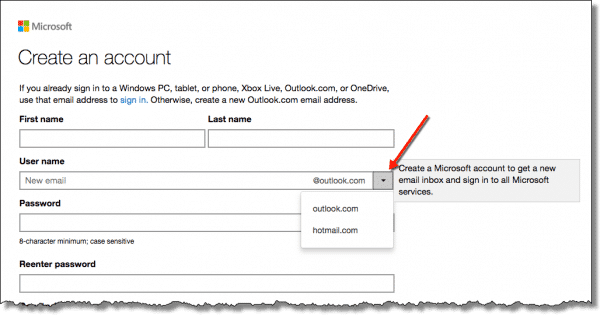 How Do I Change My Hotmail Name or Address? - Changing your Hotmail address is not possible, but you can set up a new account. 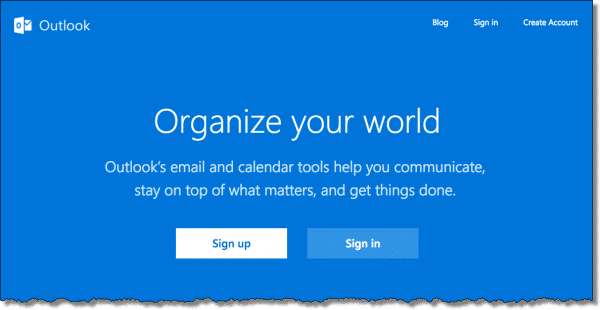 How do I change my Hotmail alternate email address? - Your alternate email address is critical should you forget your password or lose access to your Hotmail account. I'll show you how to set or change it. I guess my question is why? Why does someone want a hotmail address. I associate hotmail with spam. I know it’s not all spam, but perception is 9/10ths. I had a msn.com address on live.com that I was able to keep when I upgraded from windows 7 to windows 10 and setup my outlook mail account. I still have it. Anyone who has those older domains can still continue to use them. Microsoft is no longer offering those addresses to new subscribers. 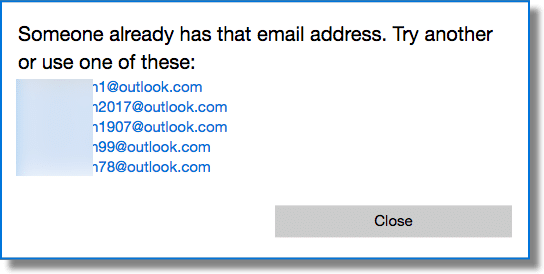 One reason to have an outlook.com and a hotmail.com account has to do with logging in, especially with password managers. Anyone who’s tried to log in to email accounts with the same domain in the same browser knows that they will be automatically logged out of one of them after 45 seconds or so, even if both logins are successful. Having two domains prevents this. (Another way is to open two browsers and log in separately on each). Another advantage is the increase of free alias addresses from 10 to 20. Such addresses give us veto power over unwanted mail as they are as permanent or temporary as the user wants and can be deleted and replaced at any time. I cannot get into my hotmail account to gather all my information to put on Outlook. It would have been nice for Microsoft to let us know that they are not using Hotmail any longer. Got a new email on Outlook, but need to move all info from Hotmail to Outlook. This is really awful. They are the same thing. Microsoft upgraded Hotmail to Outlook.com. If you have an old Hotmail address it is simply accessed on the live.com website. In fact, if you go to http://hotmail.com it will redirect you there. They already moved it, so you don’t have to! Years ago I had a Hotmail account. However I could not remember the password. Is there anyway that I can find my old Hotmail address without a password?